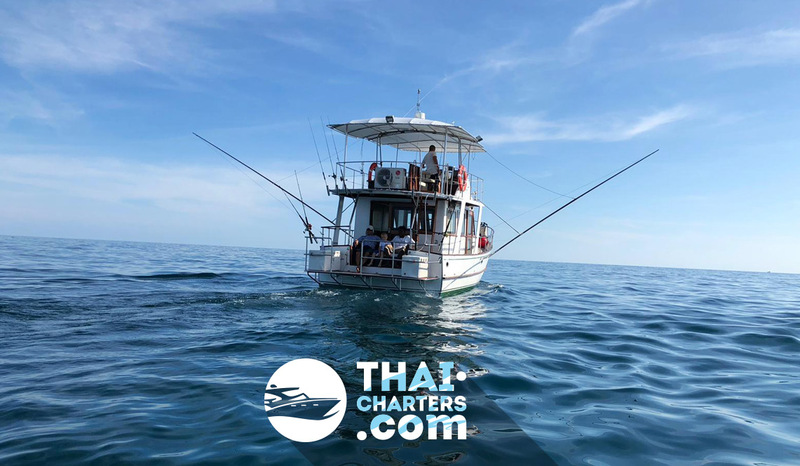 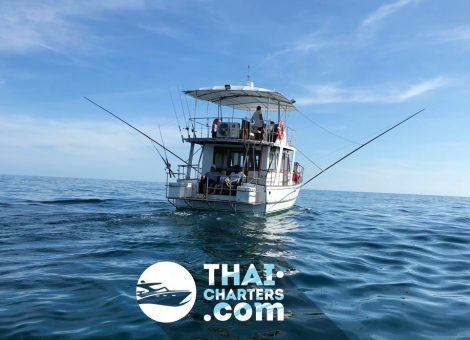 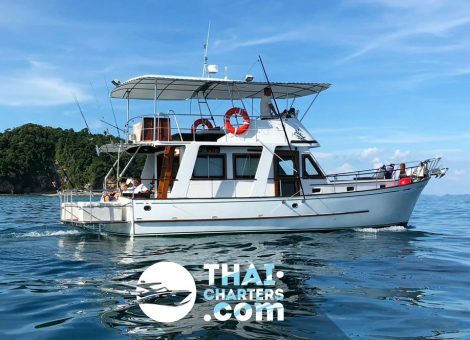 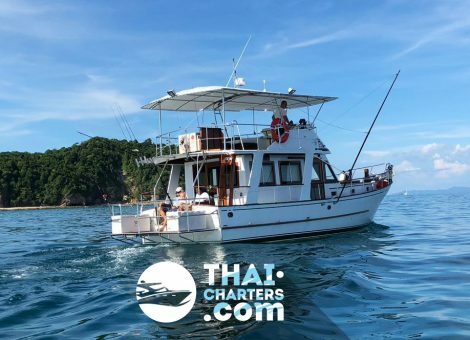 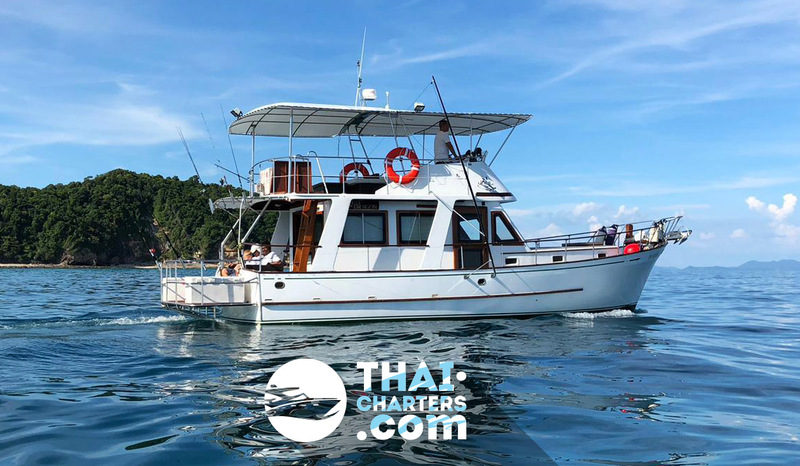 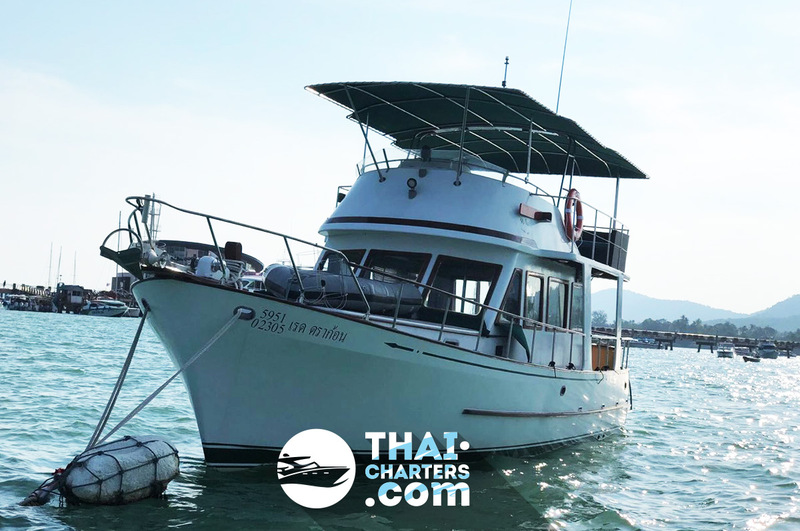 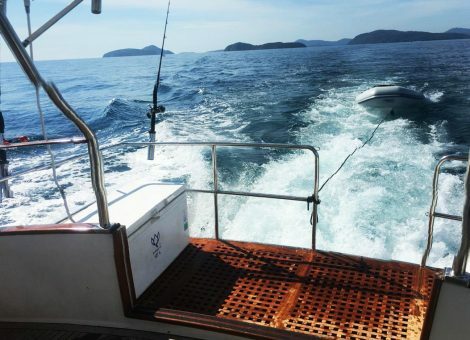 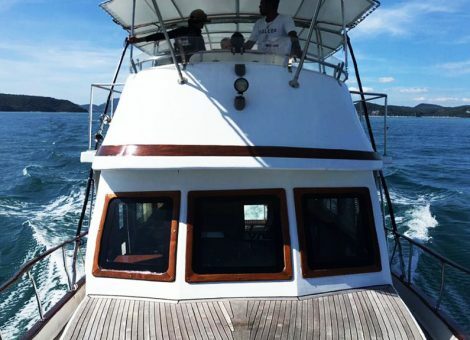 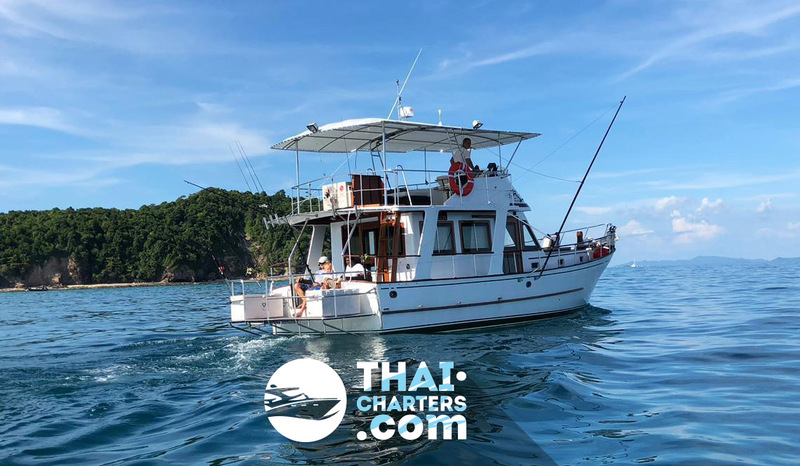 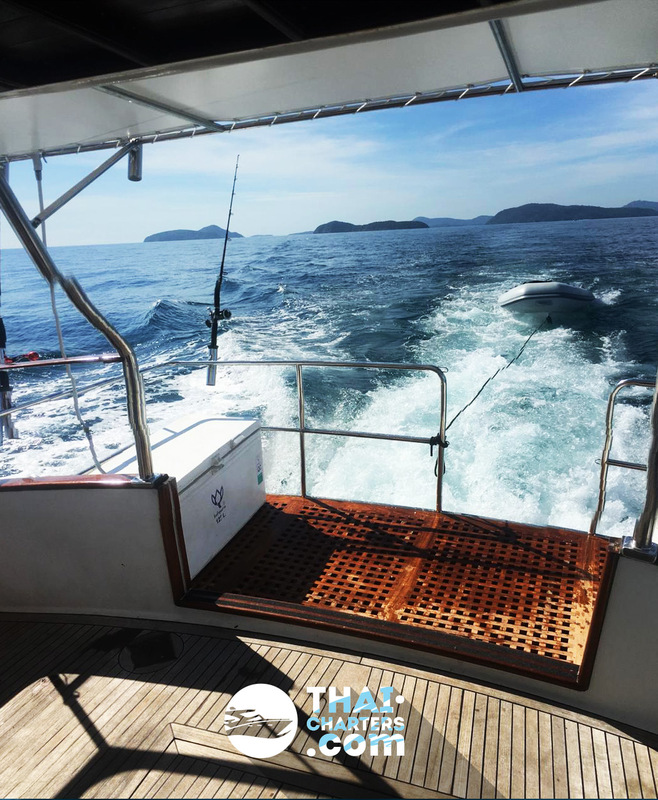 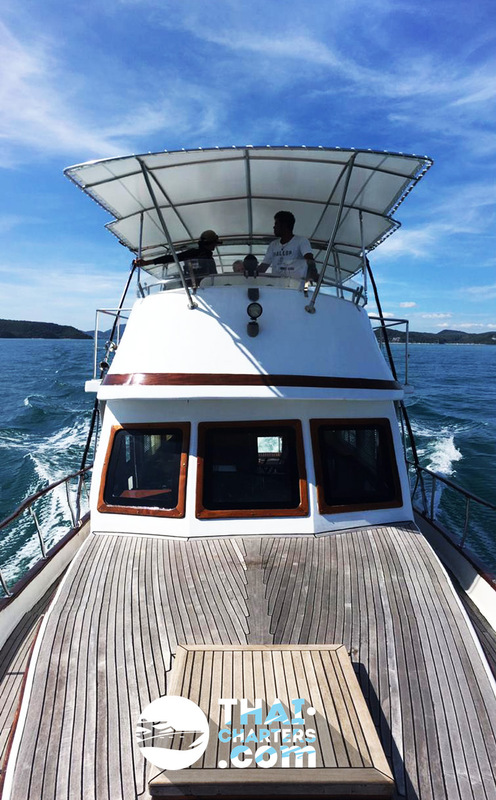 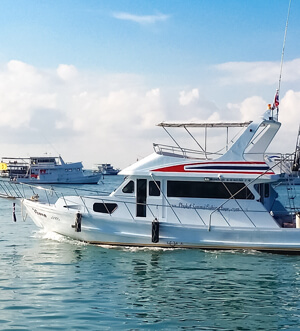 Renting a «Red Dragon» fishing motor yacht in Phuket is one of the most comfort options for sea fishing in a large company. 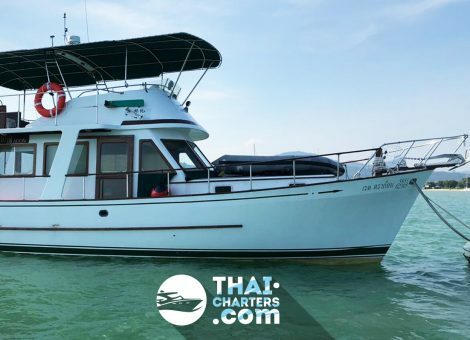 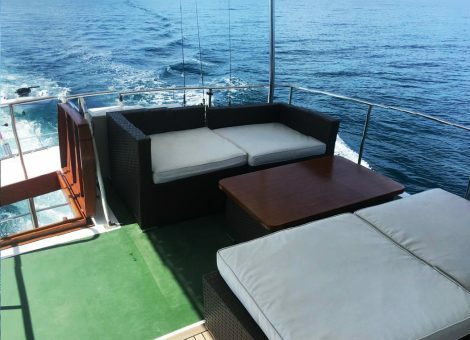 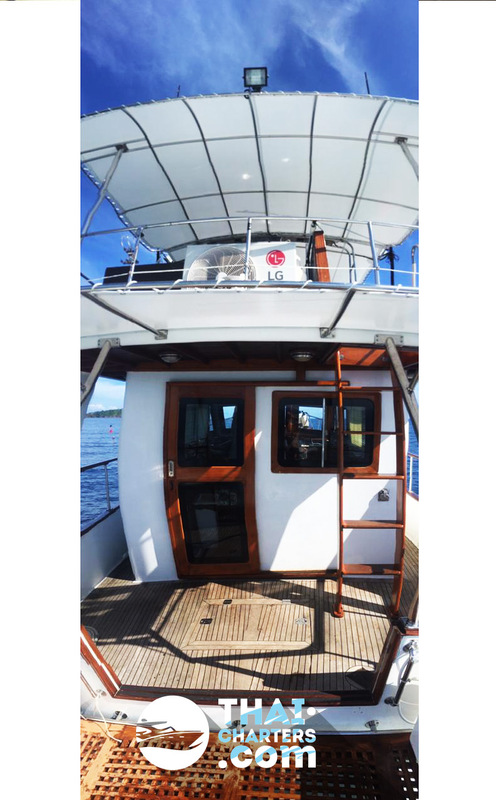 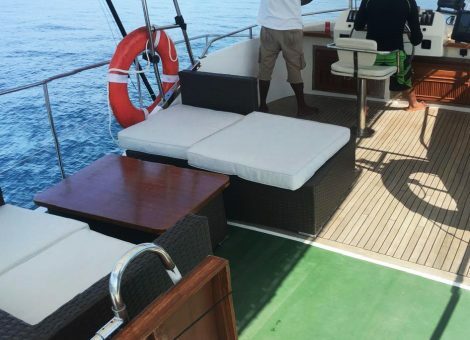 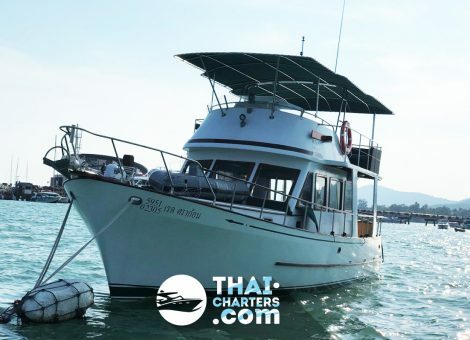 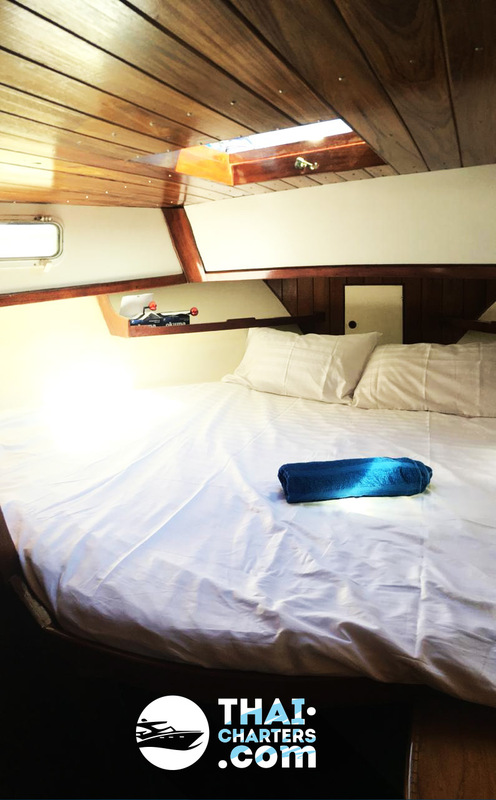 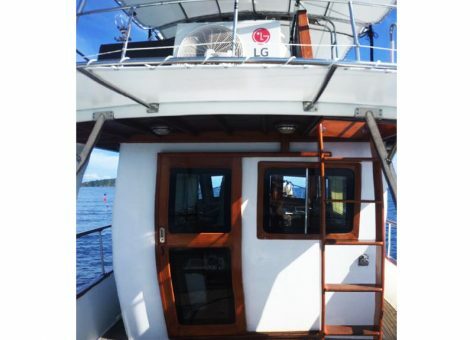 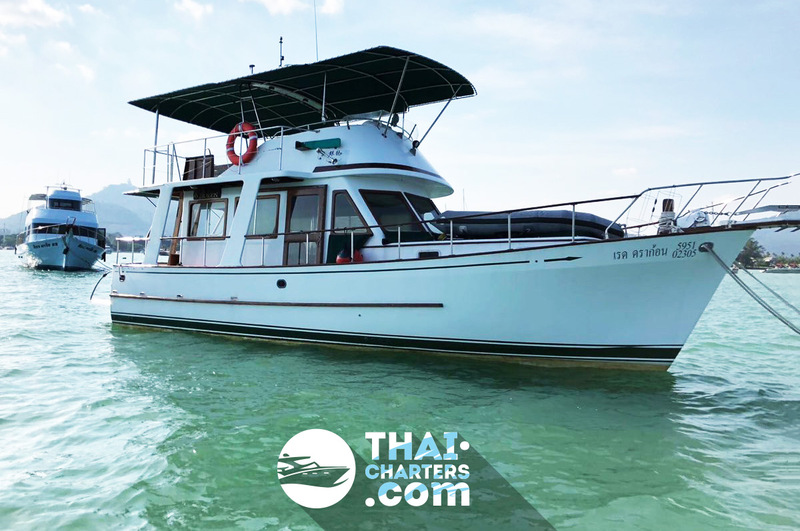 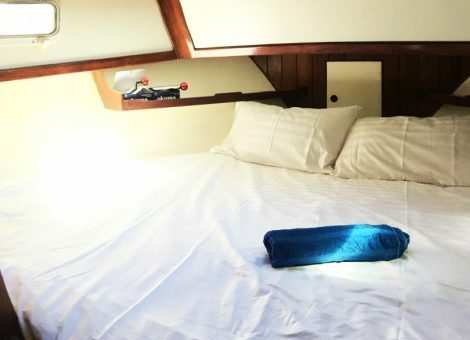 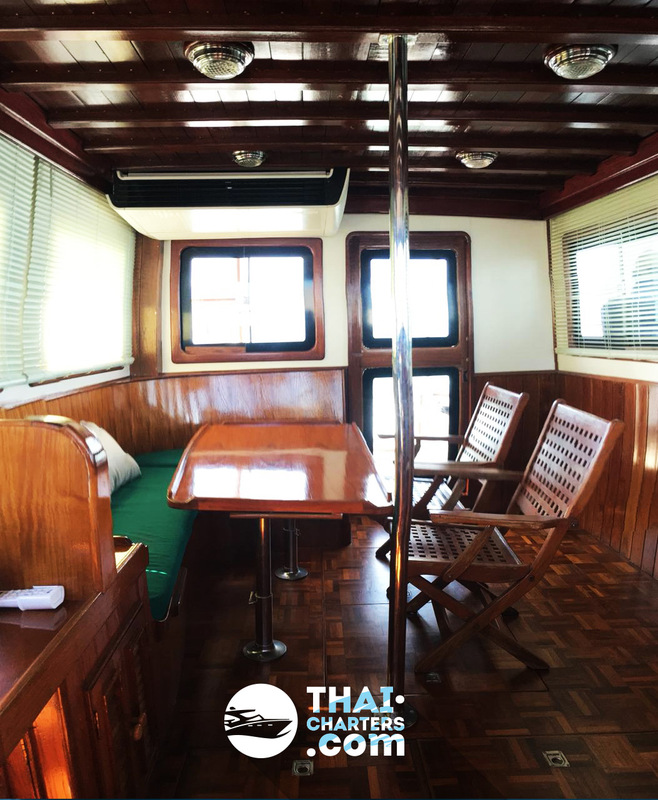 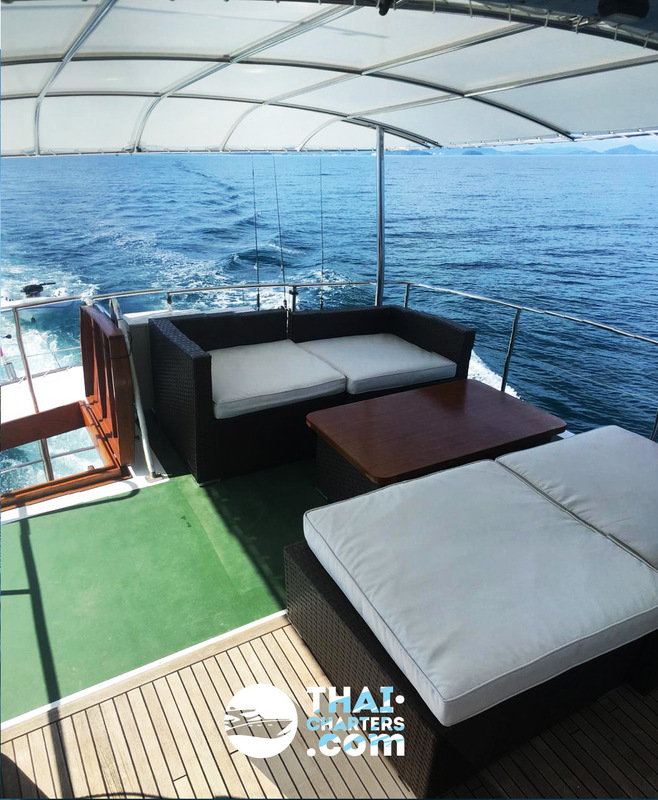 It is a spacious pleasure yacht for a very large and friendly company and is also suitable for small groups, island tours or for renting your merry field trip. 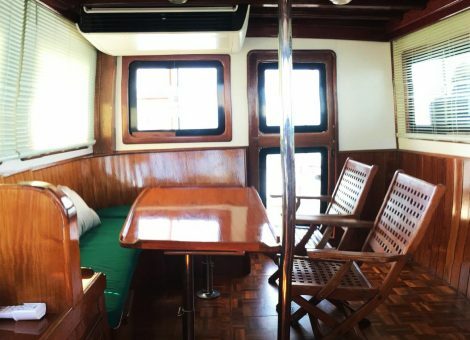 The wardroom will comfortably accommodate 6-8 people from your feast. 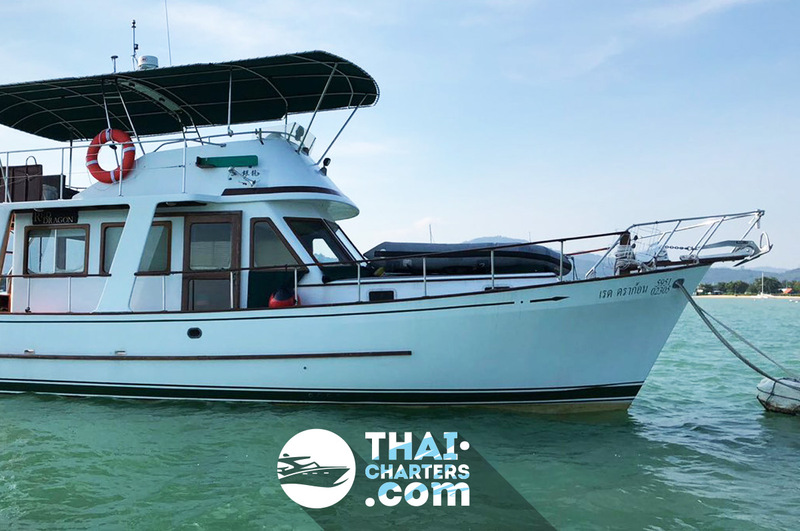 The flybridge with an awning (open upper deck) up to 10 people is perfectly designed for sunbathing and enjoying the water’s surface and 2 air-conditioned cabins up to 4 peoplу at night charter. 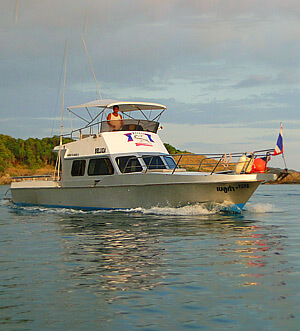 A wide platform is created just for a large catch or comfortable diving. 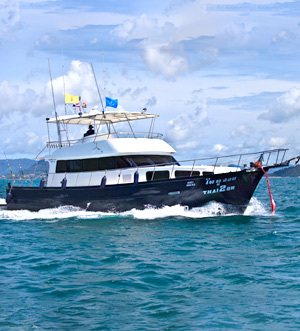 Fishing on this yacht will undoubtedly provide you with only positive emotions, because of full equipment. 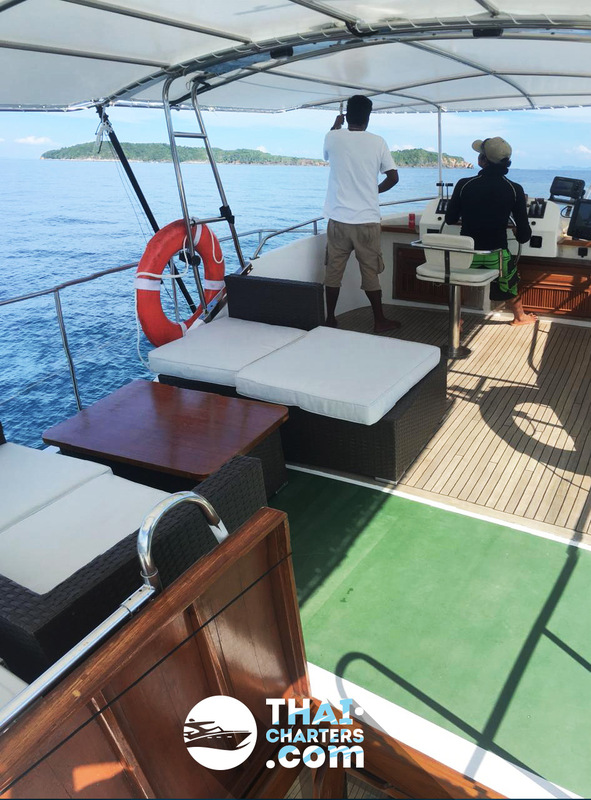 The preparation of lunch on board is also an absolute plus. 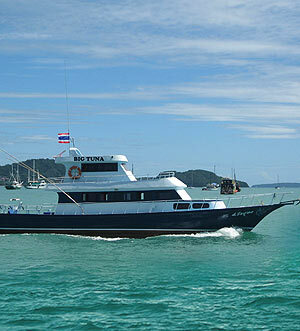 On the menu: vegetable fried rice, traditional Tom Yum soup, fresh sashimi, fruit and beverages.